Writing Scripture, One Verse at a Time! Each Day of the month, write the verse from the planner below. 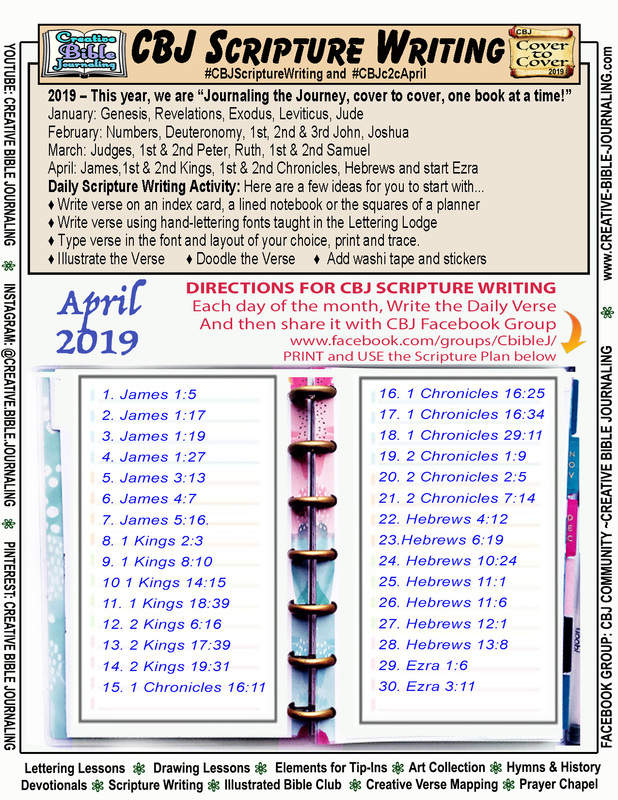 Visit us in the Creative Bible Journaling Facebook group to share your work with others.